The weekend was fantastic. There was LOTS of sunshine. There was grill use. There were pricey organic hot dogs. There was a pricey organic hot dog combined with raw sauerkraut situation (so good). There were white wine spritzers out on the deck while we played a riveting game of Yahtzee. There was a farmer’s market meet-up with awesome friends and their awesome kiddos. There was a beach. There was a very enthusiastic Emma at the beach who got to swim in the ocean for the first time. She was the happiest. There were long walks in the warm afternoon to go get gelato. It felt like summer vacation. Why do we not get summer vacation as grown ups? Injustice! As unjust as it may be, weekends end. It’s totally Monday, and it’s totally back to real life. At least until Friday, at which point I reserve the right for it to be less like real life and more like summer camp with booze. I’ve made you something to kick start your week. It’s an energy bite you can whip up in your food processor in a matter of minutes. You know those pricey energy bars you can buy at your health food store? You can make those. It’s simple. Plus, THESE TASTE LIKE PIE!!! Who doesn’t love pie?! Furthermore, who doesn’t like pie for breakfast? In my humble opinion, pie might be one of the best parts about the day after Thanksgiving. There’s obviously no need to make breakfast when you can cut yourself an embarrassingly large slice of pumpkin pie and eat it with your hands, like you are picking up a sandwich. I wouldn’t even be mad if there was some whipped cream on top. Whoa, this has taken a turn into my own personal pie fantasy. I digress. Let’s do this before I start dreaming about other types of pie to put in my mouth. Basically, we have to hurry. I have about thirty seconds before I have another full on pie fantasy. It’s not my fault, it’s just the way my brain works. I really would like more excuses to eat pie for breakfast. At least these are pie-like and healthy. I can get with this. 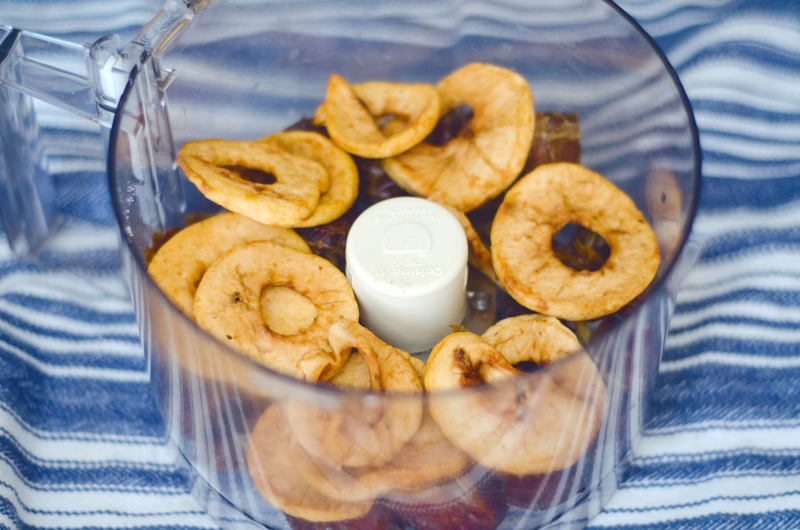 To start, soak some medjool dates in hot water for a couple of minutes. This is totally not mandatory, but it makes them easier to work with if they’ve been in the fridge. It helps to soften them so that it’s easier to remove their pits. 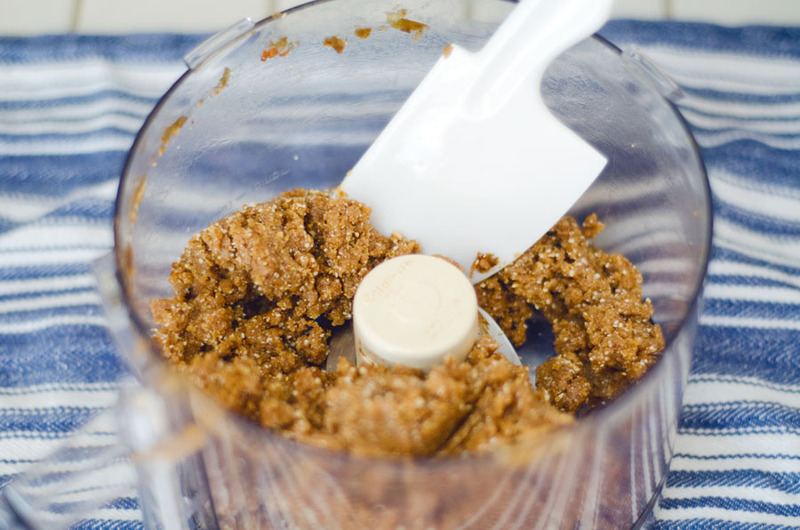 It’s also going to help your mixture come together more easily in the food processor. Next, we’re going to process your dates and some dried apples. After your dates and apples come together, you’re going to throw in nuts and seeds with a little bit of cinnamon. Process it all until it comes together in an easy to work with sticky dough. 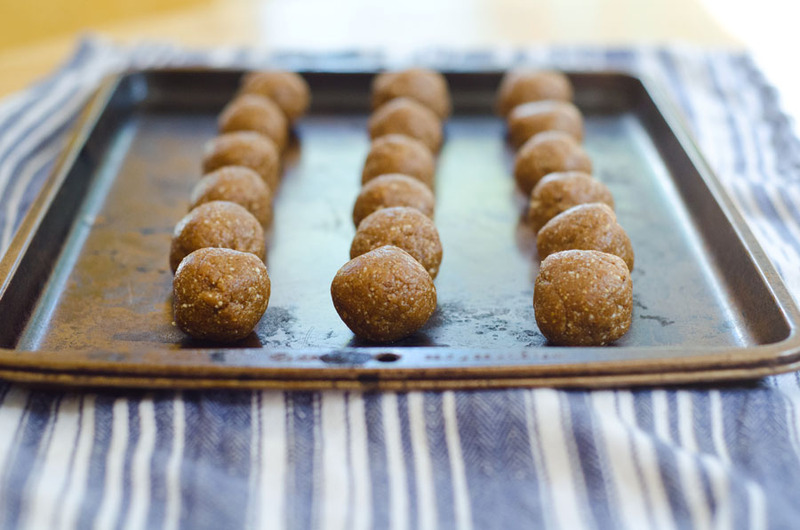 Once your dough has formed, you can roll it into small tablespoon sized balls. 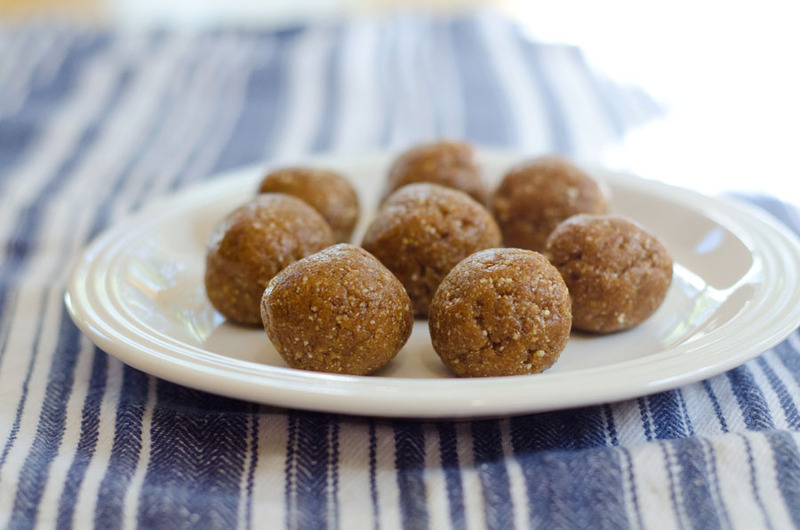 You can store your energy bites in an airtight container such as a Tupperware for several months in your freezer. If you are planing on stacking your energy bites on top of each other, I would separate them with a layer of parchment paper so that they do not stick together. I love you. I’m making these tonight. 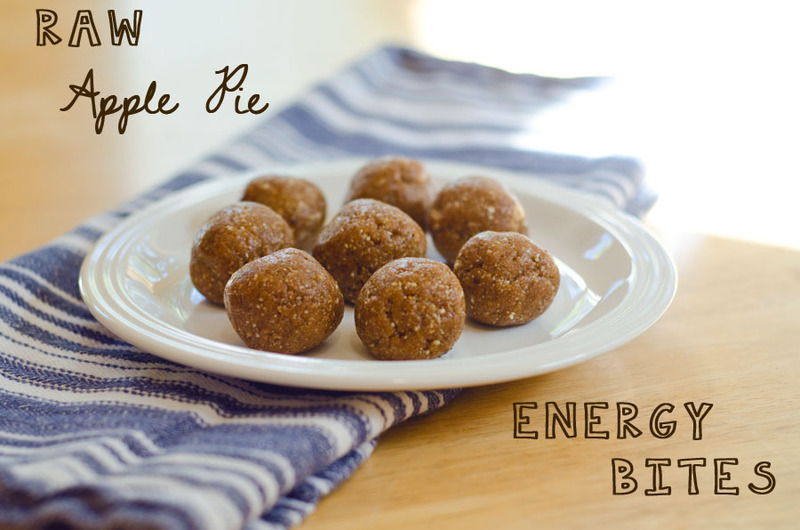 These energy bites sound delicious! I just made these and love them! Thank you! These look so easy and yummy! I can’t wait to make them 🙂 I think I may try walnuts instead of cashews. I don’t care much for cashews and walnuts have lots of omega 3. Awesome, Lori! Walnuts would be buttery and delish! Do you think a little coconut oil would help fill in those little cracks in the balls in the picture? Do they have to be refrigerated? I only ask because I am thinking of making these for a friend and would have to ship them. I mean, theres as much or more fat and less protein here than most energy bars…like, each ball would have about as much fat as an entire cliffbar and, to my knowledge, less than half the protein.